Neo-Vedanta, also called Hindu modernism, neo-Hinduism, Global Hinduism and Hindu Universalism,[web 1] are terms to characterize interpretations of Hinduism that developed in the 19th century. Some scholars argue that these modern interpretations incorporate western ideas into traditional Indian religions, especially Advaita Vedanta, which is asserted as central or fundamental to Hindu culture. The development took place partly in response to western colonialism and orientalism, contributing to the Indian freedom struggle and the modern national and religious identity of Hindus in the Republic of India. This societal aspect is covered under the term of Hindu reform movements. Among the main proponents of such modern interpretations of Hinduism were Vivekananda, Aurobindo and Radhakrishnan, who to some extent also contributed to the emergence of Neo-Hindu movements in the West. Neo-Vedanta has been influential in the perception of Hinduism, both in the west and in the higher educated classes in India. It has received appraisal for its "solution of synthesis," but has also been criticised for its Universalism. The terms "Neo-Hindu" or "Neo-Vedanta" themselves have also been criticised for its polemical usage, the prefix "Neo-" then intended to imply that these modern interpretations of Hinduism are "inauthentic" or in other ways problematic. According to Halbfass, the terms "Neo-Vedanta" and "Neo-Hinduism" refer to "the adoption of Western concepts and standards and the readiness to reinterpret traditional ideas in light of these new, imported and imposed modes of thought." The term "Neo-Vedanta" appears to have arisen in Bengal in the 19th century, where it was used by both Indians and Europeans. According to Halbfass the term was invented by a Bengali, Brajendra Nath Seal (1864-1938), who used the term to characterise the literary work of Bankim Chandra Chatterjee (1838-1894). The term "neo-Vedanta" was used by Christian missionaries as well as Hindu traditionalists to criticize the emerging ideas of the Brahmo Samaj, a critical usage whose "polemical undertone [...] is obvious". The term "neo-Hinduism" was used by a Jesuit scholar resident in India, Robert Antoine (1914-1981), from whom it was borrowed by Paul Hacker, who used it to demarcate these modernist ideas from "surviving traditional Hinduism," and treating the Neo-Advaitins as "dialogue partners with a broken identity who cannot truly and authentically speak for themselves and for the Indian tradition." Hacker made a distinction between "Neo-Vedanta" and "neo-Hinduism," seeing nationalism as a prime concern of "neo-Hinduism." Although neo-Vedanta proper developed in the 19th century in response to western colonialism, it has got deeper origins in the Muslim period of India. ... certain thinkers began to treat as a single whole the diverse philosophical teachings of the Upanishads, epics, Puranas, and the schools known retrospectively as the "six systems" (saddarsana) of mainstream Hindu philosophy. Within these socalled doxologies Advaita Vedanta was given the highest position, since it was regarded to be most inclusive system. Vijnanabhiksu, a 16th-century philosopher and writer, is still an influential representant of these doxologies. He's been a prime influence on 19th century Hindu modernists like Vivekananda, who also tried to integrate various strands of Hindu thought, taking Advaita Vedanta as its most representative specimen. With the colonisation of India by the British, a darker era in the history of India began. Prior to this, Muslim rule over North India had had a drastic effect on Hinduism (and Buddhism) through systematic persecution. While the Indian society was greatly impacted, its economy however continued to remain one of the largest in the World. Muslim rule over Southern India was also relatively short-lived before the 17th century. In contrast to the Muslim rulers, the British actively engaged in destroying the Indian economy as well. The economic destruction wrought by restrictive British policies and Industrial revolution in Europe, led to the dismantling of the prevailing decentralized education systems in India in the 18th century. The British state-supported education system, after the English Education Act of 1835, emphasized western religions and thoughts at the cost of indigenous ones. The British also nurtured and were involved, post 1813, in the aggressive propagation of Protestant Christianity. This was concomitant with the British propaganda machine's involvement in the spreading anti-Hindu sentiments. Neo-Vedanta, also called "neo-Hinduism" is a central theme in these reform-movements. The earliest of these reform-movements was Ram Mohan Roy's Brahmo Samaj, who strived toward a purified and monotheistic Hinduism. Neo-vedanta's main proponents are the leaders of the Brahmo Samaj, especially Ram Mohan Roy, while Vivekananda, Gandhi, Aurobindo and Radhakrishnan are the main proponents of neo-Hinduism. The Brahmo Samaj was the first of the 19th century reform movements. Its founder, Ram Mohan Roy (1772-1833), strived toward an universalistic interpretation of Hinduism. He rejected Hindu mythology, but also the Christian trinity. He found that Unitarianism came closest to true Christianity, and had a strong sympathy for the Unitarians. He founded a missionary committee in Calcutta, and in 1828 asked for support for missionary activities from the American Unitarians. By 1829, Roy had abandoned the Unitarian Committee, but after Roy's death, the Brahmo Samaj kept close ties to the Unitarian Church, who strived towards a rational faith, social reform, and the joining of these two in a renewed religion. The Unitarians were closely connected to the Transcendentalists, who were interested in and influenced by Indian religions early on. Rammohan Roy's ideas were "altered [...] considerably" by Debendranath Tagore, who had a Romantic approach to the development of these new doctrines, and questioned central Hindu beliefs like reincarnation and karma, and rejected the authority of the Vedas. Tagore also brought this "neo-Hinduism" closer in line with western esotericism, a development which was furthered by Keshubchandra Sen. Sen was influencded by Transcendentalism, an American philosophical-religious movement stringly connected with Unitarianism, which emphasized personal religious experience over mere reasoning and theology. Sen strived to "an accessible, non-renunciatory, everyman type of spirituality," introducing "lay systems of spiritual practice" which can be regarded as proto-types of the kind of Yoga-exercises which Vivekananda populurized in the west. The theology of the Barhmo Samaj was called "neo-Vedanta" by Christian commentators, who "partly admired [the Brahmos] for their courage in abandoning traditions of polytheism and image worship, but whom they also scorned for having proffered to other Hindus a viable alternative to conversion". Critics accused classical Vedanta of being "cosmic self-infatuation" and "ethical nihilism". Brahmo Samaj leaders responded to such attacks by redefining the Hindu path to liberation, making the Hindu path available to both genders and all castes, incorporating "notions of democracy and worldly improvement". In 1880 Vivekananda joined Keshub Chandra Sen's Nava Vidhan, which was established by Sen after meeting Ramakrishna and reconverting from Christianity to Hinduism. Narendranath (aka Narendra) became a member of a Freemasonry lodge "at some point before 1884" and of the Sadharan Brahmo Samaj in his twenties, a breakaway faction of the Brahmo Samaj led by Keshub Chandra Sen and Debendranath Tagore. From 1881 to 1884 he was also active in Sen's Band of Hope, which tried to discourage the youth from smoking and drinking. It was in this cultic milieu that Narendra became acquainted with western esotericism. His initial beliefs were shaped by Brahmo concepts, which included belief in a formless God and the deprecation of idolatry, and a "streamlined, rationalized, monotheistic theology strongly coloured by a selective and modernistic reading of the Upanisads and of the Vedanta." He propagated the idea that "the divine, the absolute, exists within all human beings regardless of social status", and that "seeing the divine as the essence of others will promote love and social harmony." Vivekananda's acquaintance with western esotericism made him very successful in western esoteric circles, beginning with his speech in 1893 at the Parliament of Religions. Vivekananda adapted traditional Hindu ideas and religiosity to suit the needs and understandings of his western audiences, who were especially attracted by and familiar with western esoteric traditions and movements like Transcendentalism and New thought. An important element in his adaptation of Hindu religiosity was the introduction of his four yoga's model, which includes Raja yoga, his interpretation of Patanjali's Yoga sutras, which offered a practical means to realize the divine force within which is central to modern western esotericism. In 1896 his book Raja Yoga was published, which became an instant success and was highly influential in the western understanding of Yoga. In line with Advaita vedanta texts like Dŗg-Dŗśya-Viveka (14th century) and Vedantasara (of Sadananda) (15th century), Vivekananda saw samadhi as a means to attain liberation. Gandhi (1869–1948) has become a worldwide hero of tolerance and striving toward freedom. In his own time, he objected to the growing forces of Indian nationalism, communalism and the subaltern response. [note 3] Gandhi saw religion as an uniting force, confessing the equality of all religions. He synthesized the Astika, Nastika and Semitic religions, promoting an inclusive culture for peaceful living. Gandhi plead for a new hermeneutics of Indian scriptures and philosophy, observing that "there are ample religious literature both in Astika and Nastika religions supporting for a pluralistic approach to religious and cultural diversity". ...the spirit of 'Synthesis' essentially dominated Indian civilization. 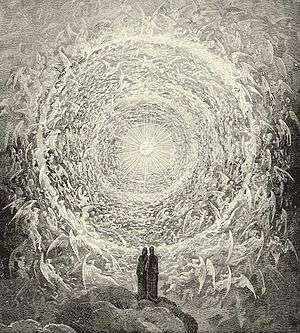 This spirit is absorption, assimilation, co-existence and synthesis. Anekantavada also gives room to an organic understanding of "spatio-temporal process", that is, the daily world and its continued change. [note 4] The doctrine of anekantavada is a plea for samvada, "dialogue", and an objection against proselytizing activities. Sarvepalli Radhakrishnan was a major force in the further popularization of Neo-Vedanta. As a schoolboy, Sarvepalli Radhakrishnan was inspired by Vivekananda's lectures, in which he found "an ennobling vision of truth and harmony as well as a message of Indian pride." He was educated by Christian missionaries, and wrote a master thesis on Vedanta and ethics. In later life, he became vice-president and president of India. According to Rinehart, he presented his view of Hinduism as the view of Hinduism. Central in his presentation was the claim that religion is fundamentally a kind of experience, anubhava,[web 2] reducing religion "to the core experience of reality in its fundamental unity. "[note 5] For Radhakrishnan, Vedanta was the essence and bedrock of religion. ... an imagined "integral unity" that was probably little more than an "imagined" view of the religious life that pertained only to a cultural elite and that empirically speaking had very little reality “on the ground,” as it were, throughout the centuries of cultural development in the South Asian region. Following Ramakrishna, neo-Vedanta regards all religions to be equal paths to liberation, but also gives a special place to Hinduism, as the ultimate universal religion. Gandhi endorsed the Jain concept of Anekantavada, the notion that truth and reality are perceived differently from diverse points of view, and that no single point of view is the complete truth. This concept embraces the perspectives of both Vedānta which, according to Jainism, "recognizes substances but not process", and Buddhism, which "recognizes process but not substance". Jainism, on the other hand, pays equal attention to both substance (dravya) and process (paryaya). A central concern in Neo-Vedanta is the role of sruti, sacred texts, versus (personal) experience. Classical Advaita Vedanta is centered on the correct understanding of sruti, the sacred texts. Correct understanding of the sruti is a pramana, a means of knowledge to attain liberation. It takes years of preparation and study to accomplish this task, and includes the mastery of Sanskrit, the memorisation of texts, and the meditation over the interpretation of those texts. Understanding is called anubhava, knowledge or understanding derived from (personal) experience. [web 7] Anubhava removes Avidya, ignorance, regarding Brahman and Atman, and leads to moksha, liberation. In neo-Vedanta, the status of sruti becomes secondary, and "personal experience" itself becomes the primary means to liberation. The emerging pan-Indian nationalism was clearly founded upon a number of cultural movements that, for the most part, reimagined an 'Aryo-centric', neo-brahmanical vision of India, which provided the 'ideology' for this hegemonic project. In the Tamil region, such a vision and ideology was closely associated with the Tamil Brahmans and, especially, the Smartha Brahmans who were considered the strongest adherents of the pan-Indian Sanskrit-Brahmanical tradition. Lola Williamson further notes that "what is called Vedic in the smarta tradition, and in much of Hinduism, is essentially Tantric in its range of deities and liturgical forms." Neo-Vedanta was popularised in the 20th century in both India and the west by Vivekananda, Sarvepalli Radhakrishnan, and western orientalists who regarded Vedanta to be the "central theology of Hinduism". Neo-Vedanta has become a broad current in Indian culture, extending far beyond the Dashanami Sampradaya, the Advaita Vedanta Sampradaya founded by Adi Shankara. The influence of Neo-Vedanta on Indian culture has been called "Vedanticization" by Richard King. In response to the British dominance and the British critique of Hinduism, various visions on Indian diversity and unity have been developed within the nationalistic and reform movements. The Brahmo Samaj strived towards mono-theism, while no longer regarding the Vedas as sole religious authority. The Brahmo Samaj had a strong influence on the Neo-Vedanta of Vivekananda, Aurobindo, Radhakrishnan and Gandhi, who strived toward a modernized, humanistic Hinduism with an open eye for societal problems and needs. Other groups, like the Arya Samaj, strived toward a revival of Vedic authority. [note 15] In this context, various responses toward India's diversity developed. Hindu inclusivism - Hindutva and "Dharmic religions"
In modern times, the orthodox measure of the primacy of the Vedas has been joined with the 'grand narrative' of the Vedic origins of Hinduism. The exclusion of Jainism and Buddhism excludes a substantial part of India's cultural and religious history from the asserttion of a strong and positive Hindu identity. Hindutva-ideology solves this problem by taking recourse to the notion of Hindutva, "Hinduness", which includes Jainism and Buddhism. A recent strategy, exemplified by Rajiv Malhotra, is the use of the term dharma as a common denominator, which also includes Jainism and Buddhism. According to Larson, Malhotra's notion of "the so-called "Dharma” traditions" and their "integral unity" is another example of "neo-Hindu discourse". Malhotra, in his Being Different, uses the term "Dharmic tradition" or "dharmic systems", "referring to all the Hindu, Buddhist, Jaina and Sikh traditions". He proposes that those traditions, despite their differences, share common features, the most important being "Dharma". [note 16] They are also characterised by the notion of "Integral Unity", which means that "ultimately only the whole exists; the parts that make up the whole have but a relative existence. The whole is independent and indivisible",[web 13] as opposed to "Synthetic Unity", which "starts with parts that exist separately from one another. "[web 13][note 17] Malhotra has received strong criticism of his ideas, for 'glossing over' the differences between and even within the various traditions of India. In response, Malhotra explains that some of his critics confused "integral unity" with "homogeneity", thinking that Malhotra said all those traditions are essentially the same, when he actually wrote that Dharmic traditions share a sense of an "integral unity" despite differences. [note 18]. According to Rinehart, neo-Vedanta is "a theological scheme for subsuming religious difference under the aegis of Vedantic truth". [note 19] According to Rinehart, the consequence of this line of reasoning is Communalism, the idea that "all people belonging to one religion have common economic, social and political interests and these interests are contrary to the interests of those belonging to another religion. "[web 14] Communalism has become a growing force in Indian politics, presenting several threats to India, hindring its nation-building and threatening "the secular, democratic character of the Indian state". Neo-Vedanta has been influenced by western ideas, but has also had a reverse influence on western spirituality. Due to the colonisation of Asia by the western world, since the late 18th century an exchange of ideas has been taking place between the western world and Asia, which also influenced western religiosity. In 1785 appeared the first western translation of a Sanskrit-text. It marked the growing interest in the Indian culture and languages. The first translation of Upanishads appeared in two parts in 1801 and 1802, which influenced Arthur Schopenhauer, who called them "the consolation of my life". [note 21] Early translations also appeared in other European languages. A major force in the mutual influence of eastern and western ideas and religiosity was the Theosophical Society. It searched for ancient wisdom in the east, spreading eastern religious ideas in the west. One of its salient features was the belief in "Masters of Wisdom"[note 22], "beings, human or once human, who have transcended the normal frontiers of knowledge, and who make their wisdom available to others". The Theosophical Society also spread western ideas in the east, aiding a modernisation of eastern traditions, and contributing to a growing nationalism in the Asian colonies. [note 23] Another major influence was Vivekananda, who popularised his modernised interpretation of Advaita Vedanta in the 19th and early 20th century in both India and the west, emphasising anubhava ("personal experience") over scriptural authority. According to Anantanand Rambachan, Vivekananda emphasised anubhava ("personal experience") over scriptural authority, but in his interpretation of Shankara, deviated from Shankara, who saw knowledge and understanding of the scriptures as the primary means to moksha. According to Comans, the emphasis on samadhi also is not to be found in the Upanishads nor with Shankara. For Shankara, meditation and Nirvikalpa Samadhi are means to gain knowledge of the already existing unity of Brahman and Atman. What is the significance and legitimacy of the "Neo" in expressions like "Neo-Hinduism and "Neo-Vedanta"? Could we speak of "Neo-Christianity" as well? In fact, I have used this term [...] and not all my Christian readers and reviewers were happy about the term. Bagchee and Adluri argue that German Indology, including Hacker, was merely "a barely disguised form of religious evangelism". All religions, at various points in recent history and under varying circumstances, have adopted to the modern world and the accompanying intellectual trends of modernity. 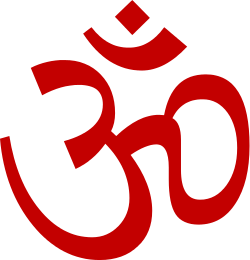 'Hinduism' (or 'Neo-Hinduism') is not unique in this regard either; the Neo-Hindu movement shares many commonalties with developments in other religious traditions around the world over the past several hundred years. The study of religion is the study of traditions in constant change. scholars of religion do not exercise their authority to write about religion(s) in a vacuum [...] One of the principal ramifications of the trend in Indology to deny the existence of a unified religion called 'Hinduism' is to delegitimize those in India who, in varying ways, have represented themselves as 'Hindus' and their religion as 'Hinduism.' [...] This kind of indifference to indigenous conceptualizations of self-identity [...] is especially problematic in an age where Western scholars often claim to be concerned to allow the 'natives to speak' and 'assume agency' over representational discourse [...] Denying the legitimacy of any and all 'Hindu' representations of Hinduism can easily crossover into a Neo-Orientalism, whereby indigenous discourse is once again silenced or ignored as the product of a false consciousness delivered to it by outside forces or as simply irrelevant to the authoritative deliberations of Western Indologists. 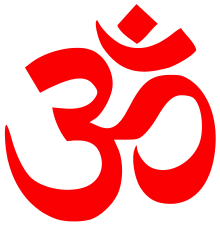 the branding of contemporary Hinduism as a faux 'neo-Hinduism' is a gross mischaracterization of both traditional and contemporary Hinduism [...] [C]ontemporary Hinduism is a continuation of a dynamic tradition. It is not in any way less authentic or less 'Hindu' than what may be dubbed traditional Hinduism. There are negative connotations to the term 'neo' which imply something artificial, untrue, or unfaithful to the original. Other world religions have undergone similar adaptations in modern times, though there are no such references to 'neo-Christianity' [...] I resist the wide currency being gained for the term 'neo-Hinduism', because this fictional divide between 'neo' and 'original' Hinduism subverts Hinduism. According to Malhotra, the 'myth of neo-Hinduism' "is used to fragment Hindu society by pitting its spiritual giants against one another and distorting their subtle and deeply intricate viewpoints." Also according to him, "the definition of neo-Hinduism has been contrived and [...] gained authenticity, in part because it suits certain academic and political agendas, and in part because it has been reiterated extensively without adequate critical response." the “solution of synthesis”—the effort to adapt to the newcomers, in the process of which innovation and assimilation gradually occur, alongside an ongoing agenda to preserve the unique values of the many traditions of Hinduism (and other religious traditions as well)." ↑ His interpretation of Advaita Vedanta has been called "Neo-Vedanta". ↑ "Subaltern" is the social group who is socially, politically, and geographically outside of the hegemonic power structure of a country. In the Indian colonial and post-colonial context this entails the hegemony of upper-class visions on Indian history, such as the Vedic origins of Hinduism, and the alternative visions such as Dravidian nationalism and the Dalit Buddhist movement. ↑ Compare Gier (2012), who pleads for a process-philosophy instead of a substance-philosophy. ↑ The notion of "religious experience" can be traced back to William James, who used the term "religious experience" in his book, The Varieties of Religious Experience. Wayne Proudfoot traces the roots of the notion of "religious experience" further back to the German theologian Friedrich Schleiermacher (1768–1834), who argued that religion is based on a feeling of the infinite. The notion of "religious experience" was used by Schleiermacher to defend religion against the growing scientific and secular citique. The term was popularised by the Transcendentalists, and exported to Asia via missionaries. It was adopted by many scholars of religion, of which William James was the most influential. ↑ The same tendency to prefer an essential core teaching has been prevalent in western scholarship of Theravada Buddhism, and has also been constructed by D.T. Suzuki in his presentation of Zen-Buddhism to the west. ↑ David Gordon White notes: "Many Western indologists and historians of religion specializing in Hinduism never leave the unalterable worlds of the scriptures they interpret to investigate the changing real-world contexts out of which those texts emerged". He argues for "an increased emphasis on non-scriptural sources and a focus on regional traditions". ↑ Gier: "Ramakrsna, Svami Vivekananda, and Aurobindo (I also include M.K. Gandhi) have been labeled "neo-Vedantists," a philosophy that rejects the Advaitins' claim that the world is illusory. Aurobindo, in his The Life Divine, declares that he has moved from Sankara's "universal illusionism" to his own "universal realism" (2005: 432), defined as metaphysical realism in the European philosophical sense of the term." ↑ Sooklalmquoytes Chatterjee: "Sankara's Vedanta is known as Advaita or non-dualism, pure and simple. Hence it is sometimes referred to as Kevala-Advaita or unqualified monism. It may also be called abstract monism in so far as Brahman, the Ultimate Reality, is, according to it, devoid of all qualities and distinctions, nirguna and nirvisesa [...] The Neo-Vedanta is also Advaitic inasmuch as it holds that Brahman, the Ultimate Reality, is one without a second, ekamevadvitiyam. But as distinguished from the traditional Advaita of Sankara, it is a synthetic Vedanta which reconciles Dvaita or dualism and Advaita or non-dualism and also other theories of reality. In this sense it may also be called concrete monism in so far as it holds that Brahman is both qualified, saguna, and qualityless, nirguna (Chatterjee, 1963 : 260)." ↑ Sarma: "All opposites like being and non-being, life and death, good and evil, light and darkness, gods and men, soul and nature are viewed as manifestations of the Absolute which is immanent in the universe and yet transcends it." ↑ A comparable change of reception can be seen in the status of Meister Eckhart, who has come to be celebrated the most noted western mystic. ↑ Ramana himself observed religious practices connected to Tamil Shaivism, such as Pradakshina, walking around the mountain, a practice which was often performed by Ramana. Ramana considered Arunachala to be his Guru. Asked about the special sanctity of Arunachala, Ramana said that Arunachala is Shiva himself.In his later years, Ramana said it was the spiritual power of Arunachala which had brought about his Self-realisation. He composed the Five Hymns to Arunachala as devotional song. In later life, Ramana himself came to be regarded as Dakshinamurthy, an aspect of Shiva as a guru. ↑ The Arya Samaj "teaches that the Vedic religion is the only true religion revealed by God for all." The Arya Samaj was founded by Dayanand Saraswati (1824-1883), who "was the solitary champion of Vedic authority and infallibility". ↑ According to Paul Hacker, as described by Halbfass, the term "dharma" "assumed a fundamentally new meaning and function in modern Indian thought, beginning with Bankim Chandra Chatterjee in the nienteenth century. This process, in which dharma was presented as an equivalent of, but also a response to, the western notion of "religion", reflects a fundamental change in the Hindu sense of identity and in the attitude toward other religious and cultural tarditions. The foreign tools of "religion" and "nation" became tolls of self-definition, and a new and precarious sense of the "unity of Hinduism" and of national as well as religious identity took root". "They all share praxis, including symbols, foods, customs, social values, sacred geography, family values, festivals and so on." Malhotra would have the reader believe that there is an "integral unity" underlying the various Dharma traditions, but, in fact, the very term "dharma" signals fascinating differences." The idea of "dharmic traditions" represents a choice to gloss over, whether for ideological or strategic reasons, the vast differences that exist among and even within the various traditions of India [...] These differences are invoked occasionally in order to buttress Malhotra’s argument for the pluralism of Indian culture, only to be erased as he presents as universal to dharmic traditions what is, in fact, easily recognizable as a thoroughly modern and homogenized ideal of Hinduism drawn from certain aspects of Vedanta philosophy and Yoga. Yelle is right when he says that, “Every tradition is in fact an amalgam, and retains the traces of its composite origins.” But he is wrong when he argues against my use of common features such as integral unity and embodied knowing, calling these “a thoroughly modern and homogenized ideal of Hinduism drawn from certain aspects of Vedånta philosophy and Yoga.” His concern about homogenization would have been legitimate if Being Different had proposed an integration of all Dharma traditions into a single new tradition. This is simply not my goal. Looking for commonality as a standpoint from which to gaze at a different family does not require us to relinquish the internal distinctiveness among the members of either family. ↑ Though neo-Hindu authors prefer the idiom of tolerance to that of inclusivism, it is clear that what is advocated is less a secular view of toleration than a theological scheme for subsuming religious difference under the aegis of Vedantic truth. Thus Radhakrishnan's view of experience as the core of religious truth effectively leads to harmony only when and if other religions are willing to assume a position under the umbrella of Vedanta. We might even say that the theme of neo-Hindu tolerance provided the Hindu not simply with a means to claiming the right to stand alongside the other world religions, but with a strategy for promoting Hinduism as the ultimate form of religion itself. ↑ Neither is Radhakrishnan's "use" of religion in the defense of Asian culture and society against colonialism unique for his person, or India in general. The complexities of Asian nationalism are to be seen and understood in the context of colonialism, modernization and nation-building. See, for example, Anagarika Dharmapala, for the role of Theravada Buddhism in Sri Lankese struggle for independence, and D.T. Suzuki, who conjuncted Zen to Japanese nationalism and militarism, in defense against both western hegemony and the pressure on Japanese Zen during the Meiji Restoration to conform to Shinbutsu Bunri. ↑ And called his poodle "Atman". ↑ [S]uch willingness to achieve a synthesis that is neither fearful of the new nor dismissive of the old is 'the ideological secret of modern India'. ↑ Sri Aurobindo, Vivekananda, Rabindranath, Gandhi and Dayananda have presented Neo-Vedannta Philosophy according to contemporary conditions in India and in the context of the development of thought in the West and East. All these philosophers, with minor differences among them, have maintained what can be called integral humanism. This integral humanism is the philosophy of our age. It alone can supply the philosophical framework for the understanding of the problems of our society. ↑ Halbfass adds that "I have tried [...] to argue that Hacker's radical critique reflects above all a typically Christian and European obsession with the concept of the individual person." 1 2 3 King 2002, p. 93. ↑ Flood 1996, p. 265. 1 2 3 4 5 6 7 8 Halbfass 2007a, p. 307. 1 2 3 4 5 6 7 8 King 2002, p. 135. 1 2 3 Larson 2012, p. 320. ↑ Halbfass 2007b, p. 587. ↑ Halbfass 1995, p. 9,21(n33). 1 2 Halbfass 1995, p. 9. 1 2 3 Rinehart 2004, p. 194. 1 2 3 4 Nicholson 2010. 1 2 Nicholson 2010, p. 2. ↑ Lorenzen 2006, p. 24-33. ↑ Lorenzen 2006, p. 26-27. 1 2 Larson 2012, p. 319-320. ↑ Rinehart 2004, p. 190-192. 1 2 Michelis 2005, p. 46. 1 2 Harris 2009, p. 268. 1 2 Kipf 1979, p. 3. ↑ Michelis 2005, p. 46-47. ↑ Michelis 2005, p. 47. ↑ Michelis 2005, p. 81. ↑ Michelis 2005, p. 49. 1 2 3 4 Rinehart 2004, p. 192. ↑ Rinehart 2004, p. 193. 1 2 Flood 1996, p. 257. 1 2 3 Michelis 2005, p. 99. ↑ Michelis 2005, p. 100. ↑ Sen 2006, pp. 12–14. ↑ Banhatti 1995, p. 8. ↑ Badrinath 2006, p. 20. ↑ Michelis 2005, p. 31-35. ↑ Michelis 2005, p. 19-90, 97-100. ↑ Bhuyan 2003, p. 5. ↑ Chattopadhyaya 1999, p. 29. 1 2 Michelis 2004, p. 119-123. ↑ Michelis 2004, p. 123-126. ↑ Michelis 2004, p. 125-126. ↑ Michelis 2004, p. 149-180. ↑ Panicker 2004, p. 8-10. ↑ Panicker 2004, p. 9. 1 2 3 4 Panicker 2004, p. 10. 1 2 3 4 5 6 7 8 9 Panicker 2004, p. 11. ↑ Rinehart 2004, p. 194-196. 1 2 3 4 5 Rinehart 2004, p. 195. ↑ Rinehart 2004, p. 196. ↑ Sharma 2011, p. 73-126. 1 2 Sen 1997, p. 75. 1 2 3 Larson 2012, p. 313. ↑ King 1999, p. 135. 1 2 3 4 5 6 7 McMahan 2008. ↑ White 2006, p. 104. 1 2 Gier 2012, p. 268-269. ↑ Panicker 2006, p. 190-191. ↑ Dundas 2004, p. 123–136. ↑ Koller 2004, p. 400–407. ↑ Burch 1964, p. 68–93. ↑ Myers 2013, p. 104-105. ↑ Dalal 2009, p. 22. ↑ Rambachan 1991, p. 5. ↑ Myers 2013, p. 105. ↑ Rambachan 1991, p. 1-14. 1 2 Smart 2009, p. 186. 1 2 Vaitheespara 2010, p. 91. ↑ Fort 1998, p. 179. ↑ Minor 1987, p. 3. ↑ Espin 2007, p. 563. ↑ Williamson 2010, p. 89. 1 2 3 Michaelson 2009, p. 79-81. 1 2 3 Sinari 2000. ↑ King 2011, p. 69. ↑ Sharma 2005, p. 208. ↑ Sharma 2005, p. 213. 1 2 3 Cornille 1992, p. 83. ↑ Poonja 2000, p. 59. ↑ Venkataramiah 1936, p. Talk 143. ↑ Godman 1985, p. 2. ↑ Frawley 1996, p. 92-93. ↑ Paranjape 2009, p. 57-58. 1 2 3 King 2001. 1 2 3 4 5 Rambachan 1994. 1 2 Rambachan 1994, p. 38. ↑ Panicker 2006, p. 39. 1 2 Larson 2012, p. 314. ↑ Halbfass 1995, p. 10. 1 2 3 4 5 Malhotra 2013, p. 382-383. 1 2 Yelle 2012, p. 338-339. ↑ Malhotra 2013, p. 375-376. 1 2 3 4 5 Rinehart 2004, p. 196-197. 1 2 Panicker 2004, p. 3. ↑ Rinehart 2004, p. 198. ↑ Renard 2010, p. 176. 1 2 Renard 2010, p. 177. 1 2 Renard 2010, p. 178. ↑ Renard 2010, p. 185-188. ↑ Gombrich 1996, p. 185-188. ↑ Fields 1992, p. 83-118. ↑ Renard 2010, p. 189-193. 1 2 3 4 Rambachan 1994, p. 1. 1 2 Sharma 2003, p. 179. ↑ Comans 2000, p. 307. ↑ Halbfass 2007b, p. 587–588. ↑ Halbfass 2007b, p. 588. ↑ Bagche & Adluri 2013, p. 215–229. ↑ Smith 1998, p. 324. ↑ Smith 1998, p. 325. ↑ Smith 1998, p. 332–333. ↑ Malhotra 2014, p. 26. ↑ Malhotra 2014, p. 28. ↑ Malhotra 2014, p. 31. ↑ Malhotra 2014, p. 32. ↑ Malhotra 2014, p. 30. ↑ Malhotra 2014, p. 42. Frawley, David (1996), Tantric Yoga and the Wisdom Goddesses: Spiritual Secrets of Ayurveda, Motilal Banarsidass Publ. Smart, Ninian (2009), Ninian Smart on World Religions: Traditions and the challenges of modernity. I. Individual traditions. Buddhism. 'Mysticism and scripture in Theravāda Buddhism', Ashgate Publishing, Ltd.
Smith, Brian K. (December 1998). "Questioning authority: Constructions and deconstructions of Hinduism". International Journal of Hindu Studies. 2 (3): 313–339. doi:10.1007/s11407-998-0001-9. ↑ The theory of nationalism by Swami Vivekananda, The New Indian Express, 16 November 2013 (first published in Vedanta Kesari, Ramakrishna Math, Chennai). 1 2 "Sri Ramakrisha The Great Master, by Swami Saradananda, (tr.) Swami Jagadananda, 5th ed., v.1, pp.558-561, Sri Ramakrishna Math, Madras.". 1 2 3 Hinduism-guide.com, Hinduism: Details about "Smarta"
1 2 WiseGeek, What is Smartism? ↑ Frank Morales (2013, Feb. 15). "Neo-Vedanta: The Problem with Hindu Universalism" (original link) at website "Bharata Bharati" (http://bharatabharati.wordpress.com/) (accessed 8 February 2014). 1 2 3 Hinduism Today Staff (Oct 2015). "Book Review: Defending Hinduism's Philosophical Unity" (PDF). Hinduism Today (Oct 2015): 66–69. Retrieved 1 September 2015.